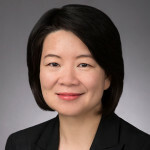 Michelle Zhang focuses on the preparation and prosecution of U.S. and foreign patent applications, patent portfolio development and post-grant proceedings at the U.S. Patent and Trademark Office. Michelle has experience in a range of technologies, including Internet systems, secure infrastructure, wireless communications, computer architecture, semiconductor, business methods, financial systems, databases and medical devices. Michelle is involved in the representation of businesses ranging from startups to Fortune 500 companies. Michelle is also experienced in rendering legal opinions in relationship to patentability, validity and freedom to operate. She has represented clients in inter partes review and covered business method review proceedings before the Patent Trial and Appeal Board. She has represented a leading international electronics manufacturer in the district court litigation in Delaware. Prior to joining Banner & Witcoff, Michelle was an associate in a large international law firm, where her practice focused on patent counseling and prosecution, trademark enforcement and domain name protections. Prior to joining legal practice, Michelle had extensive industrial experience developing software for a major pharmaceutical company and managing financial systems for a global investment bank.